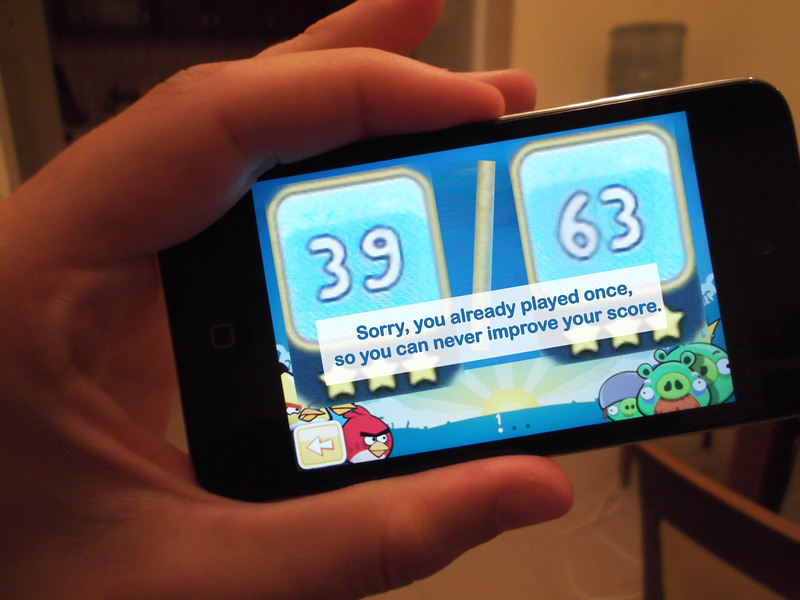 What If Angry Birds Didn’t Grade With SBG? Last year I tried out Standards Based Grading the first time and really thought it was a game changer for my classroom. Though I haven’t worked out many of the tweaks yet, and some departmental pressure is conflicting a bit with my ideal way of running things, I am still very excited about using SBG this year in class. One of the mistakes last year was that I did a terrible job explaining the whole system in the first few days of school – the whole thing was far too abstract and different from what they were used to that the first presentation went over their heads and it took some students a while to actually figure it out. One of my goals of this year was to sell/explain SBG much better so that I could have everyone on board, and I figured that this would be a worthy use of about a day total of class (I ended up integrating it with problem solving and review). I hope to have a discussion about what SBG tells you that traditional points based scores do not, and talk about the very different reaction you would have to quizzes graded in the two ways. I hope that with sample grades in front of them that mean something to them and a fitting metaphor, they will be totally sold on SBG before the second full day of school finishes. And theeeeennnnn, finally, after getting into a growth mindset and experiencing SBG through a diagnostic test, I am going to give them all the details of the grading system – percentages, processes, resources, philosophy etc. This is basically what I did last year without all the prep. I made a pretty awesome Prezi to do all of this, which I am really excited to show tomorrow (not in small part because it includes a hand drawn picture of an angry octopus). I hope this will really stick because then it’s onward and upward to the magical land of Calculus! Posted on September 7, 2011, in Growth Mindset, Teaching. Bookmark the permalink. 37 Comments. Excellent ideas here…I’ve been in school for a month, but I’m definitely using some of these ideas afters today’s quiz. Thanks for the post. This is a brilliant idea. One that I wish I had myself or had seen three weeks ago. Sadly I am already three weeks in and did the terrible explanation that no one understood until we had taken our second assessment. At this point they all get it because we’ve had three of them. I guess that just leaves me with the continually improving teacher’s mantra: Next Year! Greetings from Qatar! It’s cool to connect with another blogging teacher in the Middle East 🙂 Great idea using the Angry Birds analogy. I’ll have to steal this for us with my students as well. mar7aba wa ahlan o sahlan to my blog – added yours to my reader. that’s awesome to hear from some also in arabia. I love the growth mindset. 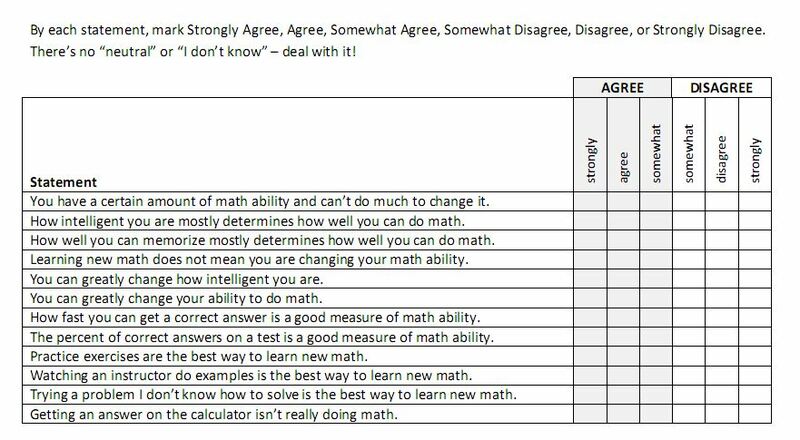 “Smart isn’t something you are, it’s something you get!” TFA is huge on this, but it’s hard for me to prove it to students without the kind of data-driven instruction methods you’re using. I can only aspire to be this organized. Can I use the photos in a publicly viewable Prezi? I love the angry birds pictures and the analogy – I used them with parents at back to school night! It is such a simple way to show what the point of SBG is, and how it is different than traditional grading. I love your SBG-hybrid system. I had been lurking on blogs reading about the SBG buzz, and pondering how to institute it with my classes. Your Prezi answered a lot of my concerns about the whole method, and I introduced it to my ninth grade algebra/geometry students for the second quarter. It has been going wonderfully so far! Thank you for the push to get me started. I do have one question. Does student performance on tests influence their skill grades? For me it doesn’t, which I think confuses a lot of people who use SBG. My rationale is that the danger of splitting up the curriculum into small parts is that students can succeed in isolation for those parts and then not be able to bring them together as whole concepts. I tried my first year doing SBG having tests influence the standards, but with 10+ standards on a test for each student, it was SO HARD to grade. Also, I found that students weren’t bothering reassessing, they were just studying for the test and trying to do well on that so their standards would go up. I’ve found it works much better just to separate the formative and summative aspects of the grading. 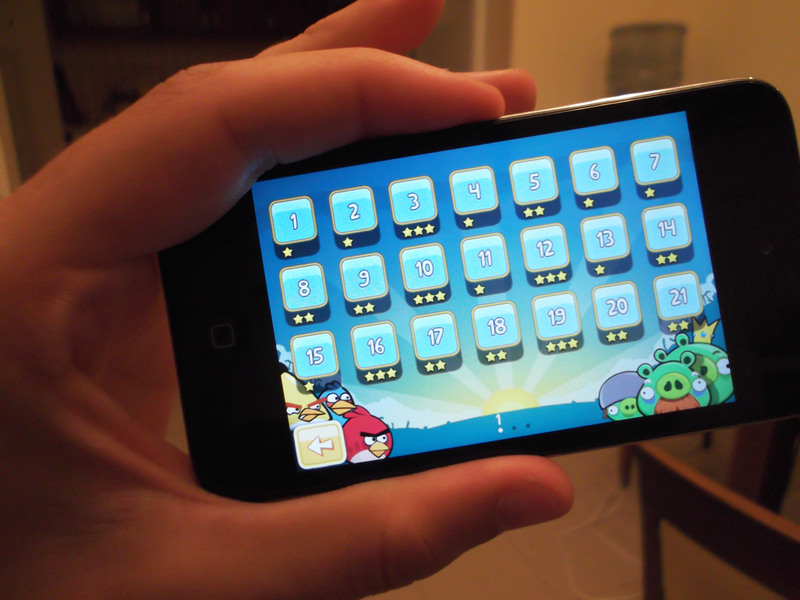 I have never been as excited about SBG as I am now that I’ve seen the Angry Birds analogy. Even if somebody else came up with it first, it is still the simplest, most applicable way I have seen to explain the basic idea of SBG to high school students. Thank you for sharing. What grading system do you use? Is there a timeline of objectives you keep? Any information would be greatly appreciated. I mostly use a Google Site with Google Forms and Google Docs. It works great for me and is well integrated. I have been inspired by your Angry Birds analogy and I’ve used it with my elementary students this year. In addition to my students and parents having a better grasp on what SBG is all about, it has boosted the motivation in my classroom. Students are more willing to “keep at it” when they think about learning a concept like passing a level only earning one star. Instead of hoping to be done and move on, they are more willing to keep working to improve their understanding! Thanks for the genius connections! Pingback: DEATH TO GRADES: The “Reveal” | What is 5?